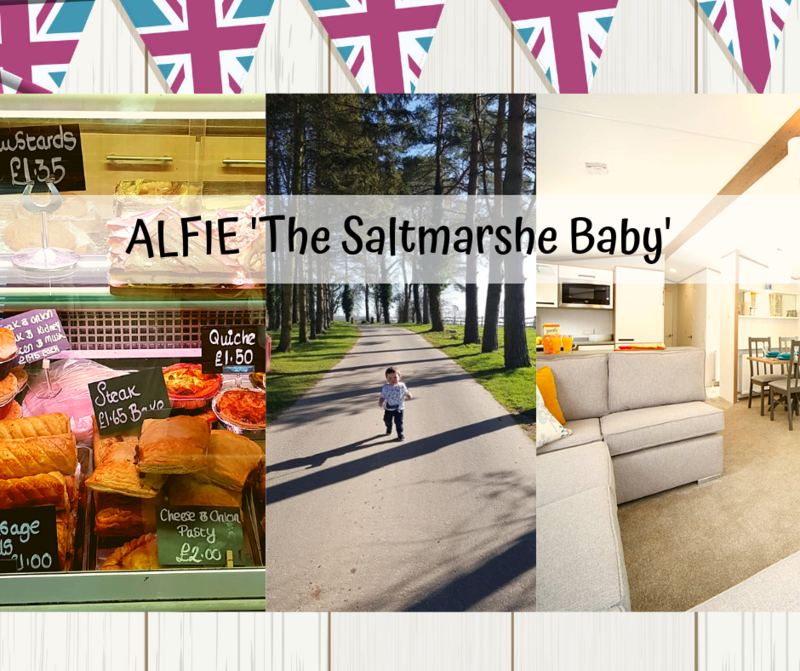 No, it’s not our chairman Alfie Best but the son of our very beautiful Saltmarshe Holiday Park resident, Rebecca Smith. We caught up with his gorgeous mummy Rebecca Smith recently to see how life on Saltmarshe Park has turned out for her and her family. She lives on Saltmarshe Holiday Park and splits her time between her home and the park. She lives with her partner and their young son ‘Alfie’ who was born in the park and is 16 months old. She works in Hilary Blinds and has now taken time-off to spend time with and raise her cute baby boy. Rebecca had an interesting story to tell us. “I had an emergency caesarean operation and literally needed round the clock care after that. All the Saltmarshe residents came together and helped me out. I was in the park all the time as I couldn’t travel anywhere but the residents helped me so much that I was able to recover well and didn’t feel lonely or helpless at all. Alfie has so many nans and aunties on the park who absolutely adore him 🙂 He is the only baby in the park so he is pampered by everyone! The whole park frequently gets together at Joan Sherwood’s tea and coffee house on the park. It’s like a social hub for the park and we catch up with each other over delicious food and drinks all the time. We also organise frequent activities in the coffee house which are very popular amongst all the residents. I know it may sound cheesy but we really are one big family. This astonishing park, extended along 67 acres of land, has been created in the grounds of Saltmarshe Castle, a former country house built in the 1840s. The area is renowned for its scenic beauty and many ancient towns and cities, including Hereford, Worcester, Gloucester and Leominster. To the west lies the Borders region of Wales, famous for its black and white villages. 12 months season and monthly site fees payment option. Access to golf club entertainment with an additional 20% discount on food and drinks Etc. Holiday homes for sale from £7995! Various finance options are available. (Subject to status and deposit criteria) Quotations on request.